Every time his grandson sees a man that looks a little like Angelo, he asks his mom if it’s him. It’s been several years since Angelo and his grandson have seen each other. Those years have been tough. 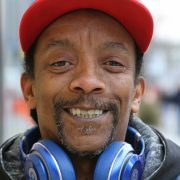 Since struggling with addiction, losing his home and being incarcerated, Angelo has seen a lot of hardship in the last few years. And sometimes it feels like he’s still in the middle of it. But Angelo refuses to lose hope or give up on his goals. That’s a common theme with our clients. Their hope for the future, their goals for what’s next. Our client advocates and treatment counselors help our clients dream again. On January 22 of this year, Angelo was released from jail. He came to House of Charity and received a bed and a spot in our Day by Day treatment program. Since then, he has completed the program and is in recovery. But now it feels like his progress has stalled. 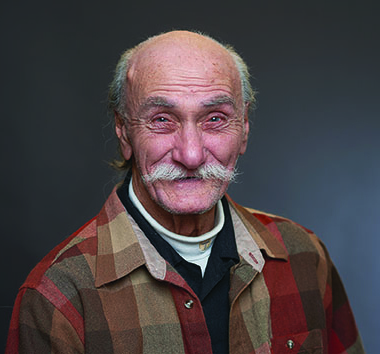 Angelo thought that by now he would have moved out of House of Charity and have his own apartment. It’s been especially hard since so many people around him are moving to their own places. But Angelo knows that he’ll get there. Recovery, housing, freedom, family. Those are Angelo’s biggest goals. As soon as he got out of prison, Angelo knew that the thing he wanted most was to see his family again. To go home to Ohio to see his kids and grandkids, especially the grandson that keeps hoping every man he sees is his grandpa. Step by step, Angelo is getting there. Angelo said that some days it feels like things just keep coming up to get in his way, that it seems like the steps to complete his goals are unending. But he is making progress; even if it is slower than he would like. He has successfully gotten off parole. He is working hard in our Day by Day program and is in recovery. One of the new additions to our treatment program is time spent in House of Charity’s plot in the Gethsemane community garden. There is research that proves that even 30 minutes spent outside can greatly reduce stress. This is a huge part of recovery. Angelo has been a part of that. He said that it has helped him relax and he hopes that when he gets his own home, the skills he’s learned in our community garden will allow him to plant and grow his own garden. He has a job that some days is his escape from everything that seems impossible. Now he just needs a home and a car. And to see his family again. We work with men and women like Angelo every single day. We support them as they move from addiction, incarceration, homelessness or mental illness toward recovery, freedom and independence. Every day, people like Angelo find hope because they’re not alone. • Tell them you want to help and be available. Many people in recovery feel alone or judged. By simply saying you want to help, you are communicating that their recovery is important. • Learn more about recovery. Educate yourself! Learn more about the experiences, potential struggles and setbacks and supports needed for someone in recovery. By arming yourself with knowledge, you will better be able to support your friend or loved one. • Be supportive and avoid unreasonable expectations. Every recovery looks different. Focus on supporting your friend or family member in their unique recovery journey rather than pushing them to recover quickly. • Find support. The person recovering isn’t the only one who needs support. You might too! Find resources and groups that can help you support your friend or family member in recovery. • But most important of all, be patient. 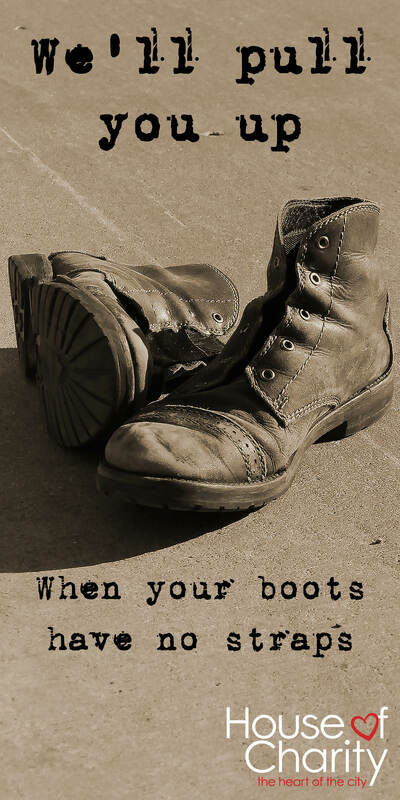 Your friend or family member needs your support and patience as they work toward recovery. There will be relapses. There will be days where it feels like no progress was made. Just be patient. Recovery is a journey. 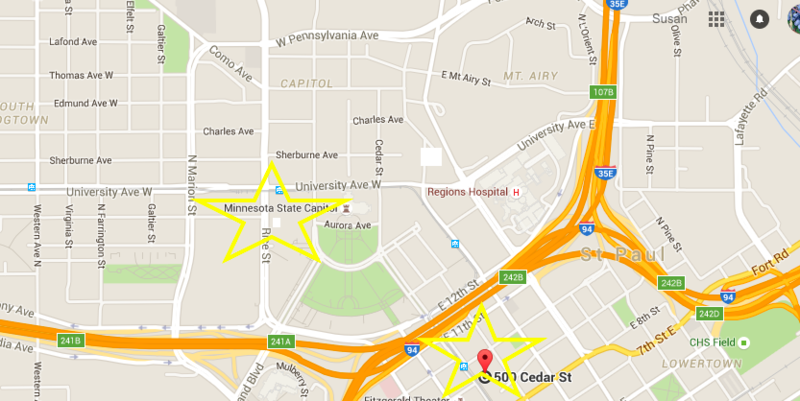 I remember one of my first interviews with a homeless man in Minneapolis. He had been on the streets for a long time and his face told the story of the hard life he had lived. He did not smile much, gave one or two word answers to the survey questions, and reported a long list of health problems. 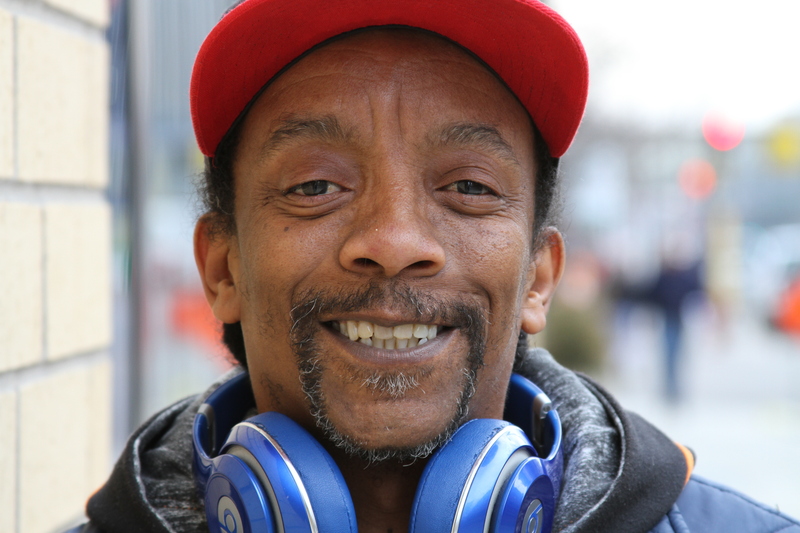 But he wanted people to know his story and was eager to get the $5 in cash offered to survey participants so that he could buy some hot food when we were done. 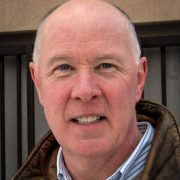 I remember feeling helpless to do much for this man at the time, but I hoped the survey information we were gathering as part of Wilder’s Statewide Homeless Study would raise awareness and lead to some solutions. 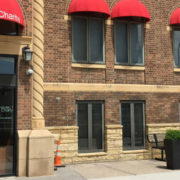 House of Charity works to address many of the problems faced by those trapped in a world of homelessness by providing food, housing and an opportunity to access addiction treatment. And one of the most powerful tools we have is the housing we provide. We know that safe and supportive housing makes a difference. 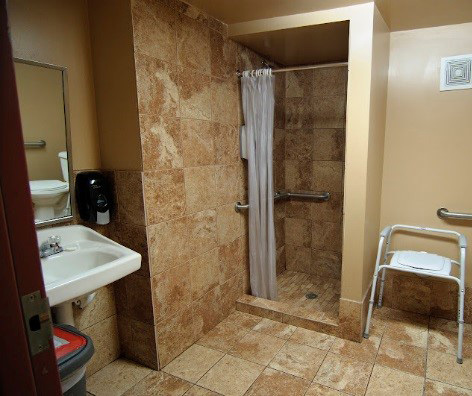 Supportive housing serves residents with serious disabilities and other barriers to self-sufficiency including long-term and chronic homelessness. 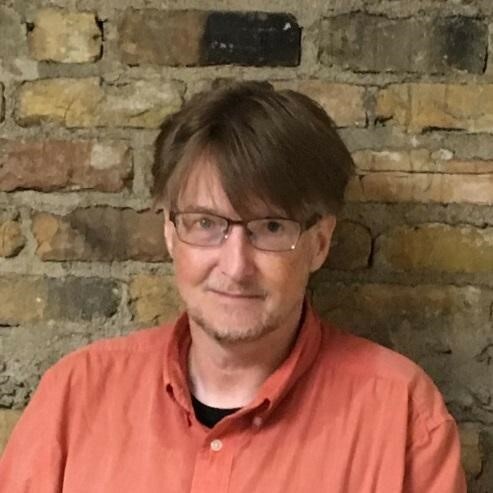 The supportive housing service models help connect residents to mainstream benefits that can help provide long-term stability. 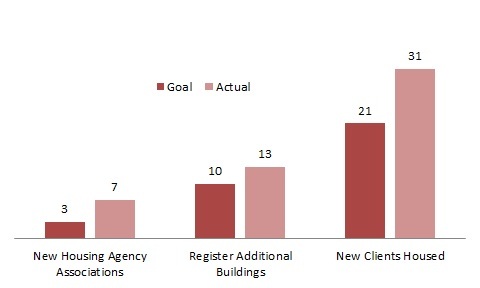 Program participants make measurable gains in their ability to respond to challenges, budget money, receive support from others, stay focused, and remain hopeful about the future. Half of all participants report that their mental health status improved after entering supportive housing. More than three-quarters of all participants who left supportive housing programs during the study period exited to some form of permanent housing. This study tell us that we are on the right track with our work at House of Charity and that stable housing is the bedrock required for a more stable and healthy future. It also tells us that we can make a difference if we are persistent in our goal to increase the availability of this kind of housing as we are now doing with the Park 7 Project. 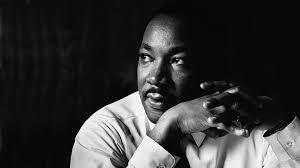 Let us all commit to continuing this work together to help define a better future for those who come to our doors. https://www.houseofcharity.org/wp-content/uploads/2018/09/Greg-Owen.jpg 706 603 House of Charity https://www.houseofcharity.org/wp-content/uploads/2016/06/houseofcharity-logo.png House of Charity2018-09-25 02:19:542018-09-12 20:24:22How Do We Help End Homelessness? It’s amazing how healing a few minutes in the dirt can be. Studies have proven that gardening is good for your health beyond the obvious exercise benefits; it’s good for your brain. Exercise itself can help your mental health, but so can exercising your green thumb. gardening as part of recovery, and this year, we did the same. 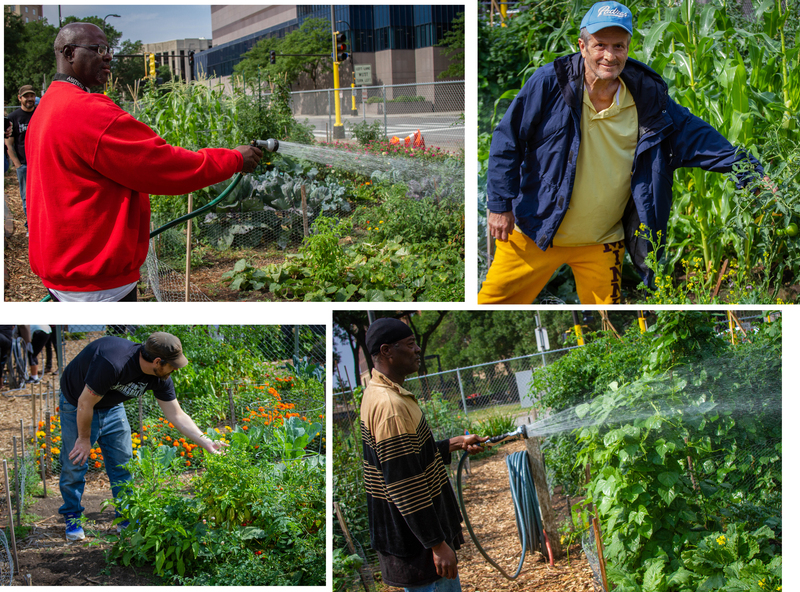 It isn’t part of our treatment plan, but we encouraged clients to join the groups that went to tend our community garden plot, and it made a difference. A few weeks ago, I had the opportunity to join a group of gentlemen that are part of our Day by Day treatment program when they went to the garden. And in just an hour, I saw how much impact it had. Shoulders loosened, smiles emerged and, by the end, we were chatting like old friends. Gardening is good for the soul, body and mind. Recovery looks different for everyone. Sometimes it looks like in-patient rehab. 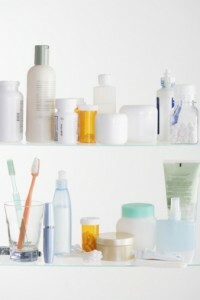 Sometimes it looks like medication. Sometimes it looks like A.A.
Often, it looks like the courage to try again after relapse. Our Day by Day program is part of what recovery looks like. By exploring new ways to heal the mind and body, we are helping more individuals reclaim their lives. And for some of them, that starts in a garden. As fall approaches, I find myself reflecting on the kindness I can expect from strangers as cold season looms nearer. When I have a cold, I can expect offers of cough drops, tissues, and advice. I will receive condolences and well-wishes. My coworkers will encourage me to stay home and take care of myself until the worst of my symptoms subside. A cold is an illness that most people feel comfortable supporting someone through. Their typically short duration, known cause, and familiar presence seem to breed a sense of empathy. 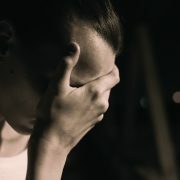 However, when the cause of illness is indeterminable, caused by trauma, or by genetics, that community often disappears. When illness is misunderstood, mislabeled, or a life-long series of recovery and relapses, support networks may never return. When these support networks begin to waiver, or when an individual and their support network is pushed beyond their capacity to cope, the importance of treatment is highlighted. Over forty-three million Americans or 1 in 5 suffer from a mental illness, and only 41% of these individuals will receive treatment. 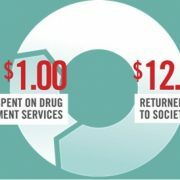 Twenty million Americans are living with a substance use disorder, and up to 90% of them will not receive the treatment they need to recover. 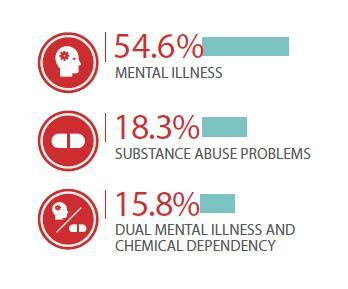 Individuals living with untreated mental health conditions and substance use disorders are at higher risk for chronic illness, homelessness and shortened life expectancies. But recovery is possible with comprehensive support. who suffer from mental illness and chemical dependency is a sense of unconditional support. They may come into the treatment center alone, but they leave knowing they are now part of a larger community that shares the struggles they face daily. This comes from the helping professionals who can aid them in finding resources and developing new skill sets, and from peers. Day by Day brings together those in need with the people who can offer the support and empathy that they need to vastly improve their overall quality of life. Everyone just needs the chance and the opportunity to connect. Jacqueline is a woman who exudes joy, strength and determination. When you speak with her, her words are covered in kindness and her face is always filled with a smile. But it hasn’t always been that way. Almost ten years ago, Jacqueline’s mother died and her world crumbled. Jacqueline had given up her home and career to care for her mother, and when she died, Jacqueline lost not only a home, but also hope. 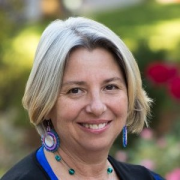 In 2008, Jacqueline committed what she called a “white-collar crime.” She said that she allowed herself to be talked into doing it, first because it would help her maintain a level of comfort that she wasn’t willing to give up.Secondly, her mother’s death was so devastating, she didn’t care what happened to her.Her death plunged Jacqueline into a spiral of depression, hopelessness, and homelessness. She spent the next three years moving from couch to couch, with no real vision or mission; only knowing that someday, she would have to pay for her crime.On June 9th, 2011, everything changed. Jacqueline was encouraged by a friend to call House of Charity. She did, and was told they had a bed for her, she just had to get there. Jacqueline recalls a cab being sent to her because she had no money. “Life, for me, began on that day,” Jac queline reflects. 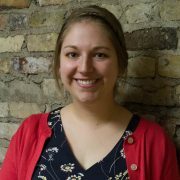 And in many ways it did.That day in June almost six years ago was a turning point, it was Jacqueline’s opportunity to reclaim her life and happiness.Jacqueline spent her time at House of Charity completing the goals she had set with her case manager. She helped other residents, who were attending MCTC, with their class work; she had majored in journalism in college and she said it brought her joy and fulfillment to help others with something she was good at.While she stayed at House of Charity, Jacqueline was impatient to get her own home. But she knew that the consequences of her crime prevented her from attaining housing. So she turned herself in, served her time, and then came back to House of Charity, knowing that this time, she could complete all her goals. On May 17 of this year, Jacqueline moved into an apartment. She has a job and volunteers at another non-profit called “From Me to You”, a faith-based organization that provides hope through clothing and other resources for women and their families. 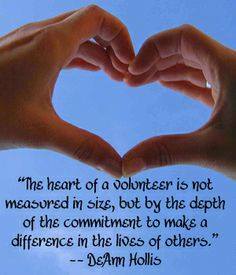 Just like helping other residents with the school brought her satisfaction, so does her volunteering. Jacqueline said that being able to help and encourage the women she encounters every day has helped her on her journey. It has allowed her to once again not only use her skills but also her wisdom and compassion. A decade ago, Jacqueline had given up. Her mother, her rock, had died, leaving her without a home and without hope. Now, because of House of Charity and the safety it provided, Jacqueline has hope and a mission. She has vision, and nothing hanging over her. Her joy is infectious. Her smile brings peace and warmth. Jacqueline is a woman who has found life again. If you were sick, could you get better by continuing to work or by not resting properly? If you broke a bone, would it ever mend if you kept using it? The answer is no. So why is addiction and mental health treatment considered any different? Why is only one problem addressed while others are ignored? 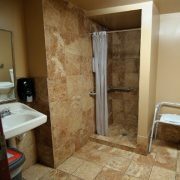 Why is a man or woman who is homeless and struggling with addiction expected to be completely clean before being considered for housing? Why is a person’s mental health not considered paramount to the success of any kind of recovery? But isn’t that where much of our world is now? Mental health is ignored while every other problem is medicated, talked about, and examined. At House of Charity, we know that recovery is about the whole person. That’s why we treat not only addiction, but also mental health. The two go hand in hand, so we treat it as such. Mental health is a person’s foundation. It is the source from which all other action comes. That is why we treat mental health and addiction together; because they are intertwined and true recovery isn’t possible without treating both. 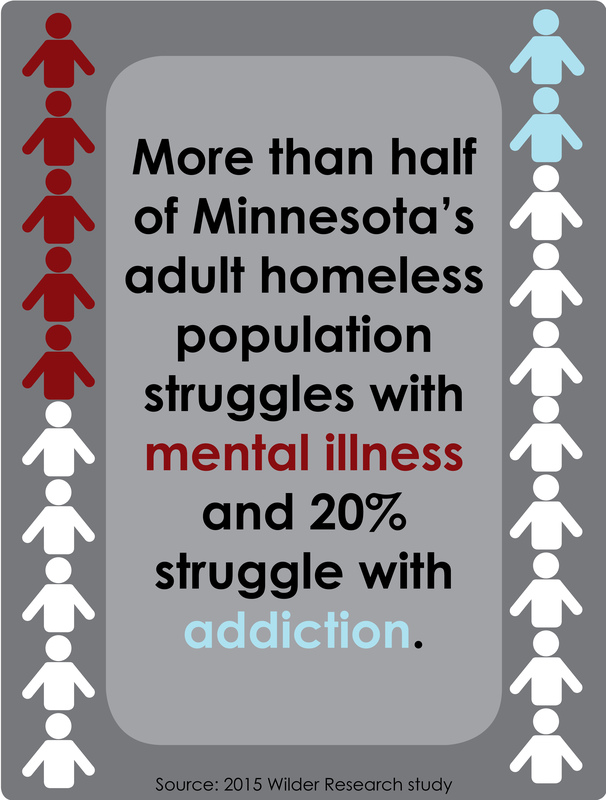 More than half of Minnesota’s adult homeless population struggle with mental illness and 20 percent struggle with addiction. That should tell you two things. 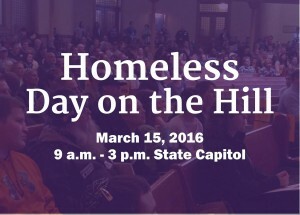 First, we may have done a lot for homelessness and addiction already, but we still have a lot of work to do. Second, the issues of homelessness, mental illness, and addiction cannot be considered separate issues and treated as such any longer. At House of Charity, we address all three issues. 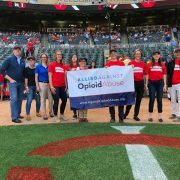 We understand the importance of co-occurring treatment and seek to offer all our clients every resource and form of support they need to become addiction-free and independent individuals. We treat mental health and addiction together; those two entities are never separated, nor should they ever be. Many of our housing residents also attend treatment. When a person has a home, they have the safety and stability to really focus on recovery and healing. Take care of a person’s basic needs, and they’ll be ready to take care of other problems in their lives. Mental health, addiction, and homelessness are often intertwined. They need to be treated together to truly be effective. And we do just that. Need, poverty, and hunger often look differently than we expect. Shortly after arriving here, Steve got a job as a laborer similar to jobs he’d held in Chicago. He was shocked to learn that here he would earn more than he had ever earned before. 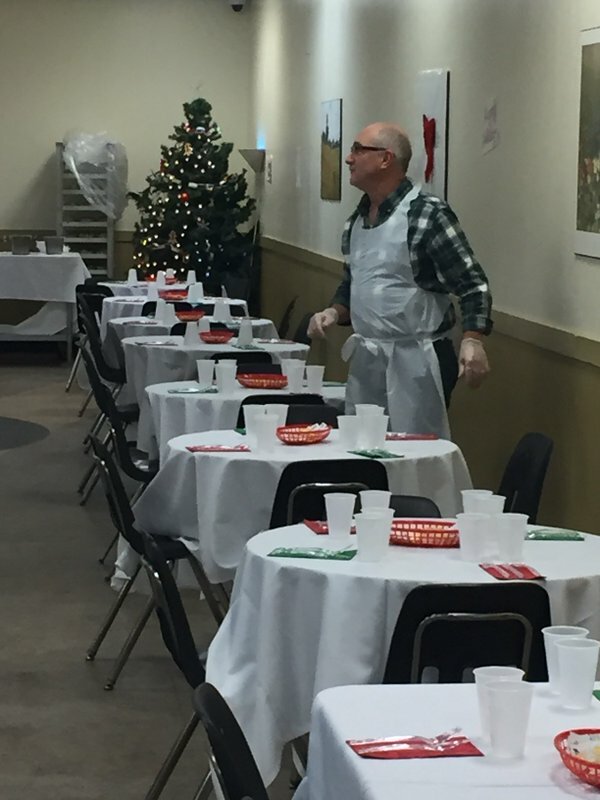 After a year’s stay at the Dorothy Day Center, a friend told him about the programs at House of Charity and he has been a part of the HOC organization ever since. Without goals, Steve says, not only he, but anyone who walks through the doors of House of Charity, will get stuck. With no vision or support, there is no chance for success and independence. Steve’s client advocate, Kassandra, has helped Steve look at both where he has come from and where he is going, to look towards complete addiction-free independence. Since coming to Minnesota, Steve has rebuilt relationships with his friends and family, most importantly, with his daughter. Steve speaks with pride about his daughter and what she is doing. He especially notes how much she is like him in her determination and attitude. 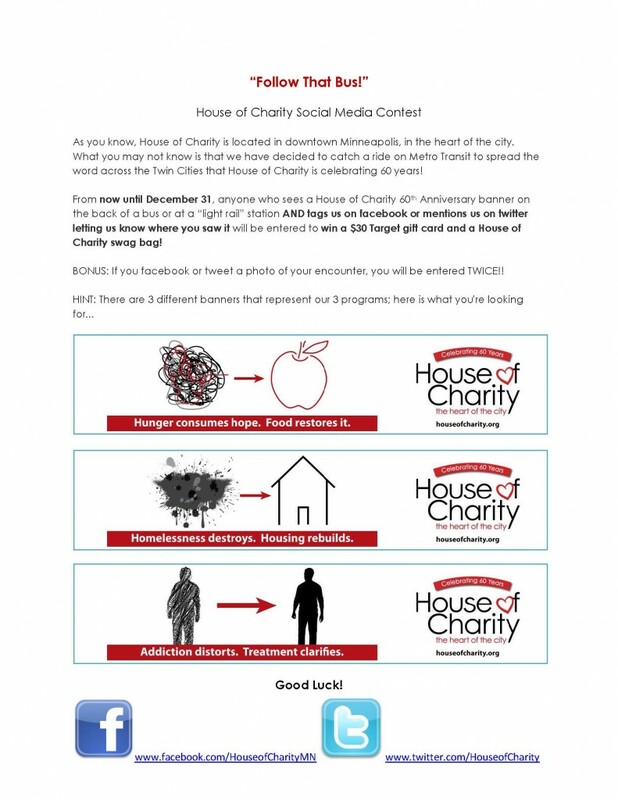 Steve has also become an avid advocate for House of Charity. He repeatedly says that he has only good things to say about it. The organization gave him hope and changed his life. And he wants other people to have that hope as well. “There’s a lot of things that I lost while I was on drugs, and I’ve gained every last one back because of House of Charity. 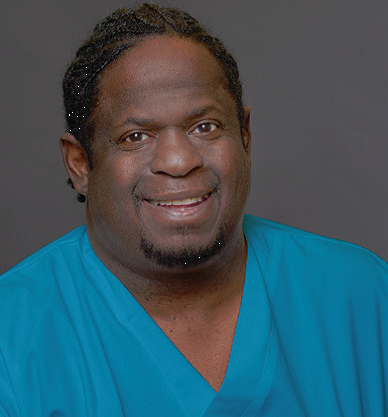 They gave me my life back.” To Steve, the hallways and rooms of House of Charity feel like a second home. Even though he has maintained his sobriety and no longer lives at HOC, Steve still visits HOC often. 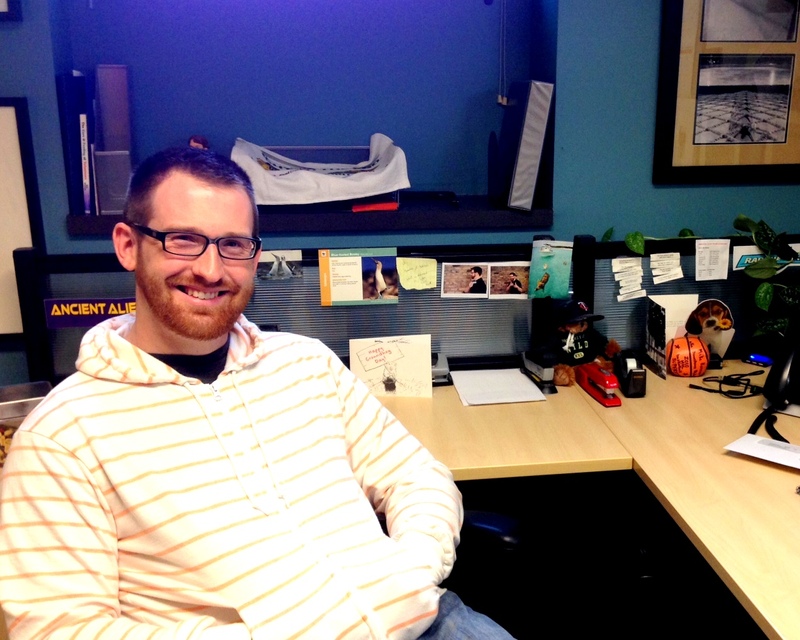 His life changed for the better at HOC— he found hope and found a home. Steve has worked hard, held a steady job, and still occasionally needs help from House of Charity. Join us as we help individuals find their way to independence. 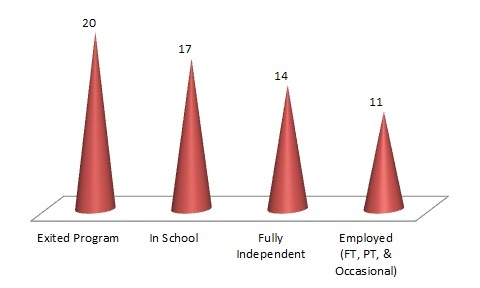 In order to learn about our guests at House of Charity’s Food Centre, we survey the men and women on a quarterly basis. We ask simple questions to gain basic information about the guests’ lives and reasons for coming for meals there. 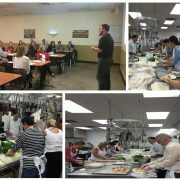 We wanted to share a bit about how frequently our guests utilize the Food Centre. 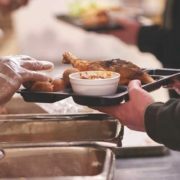 The Food Centre provides over 125,000 meals each year to hungry people. 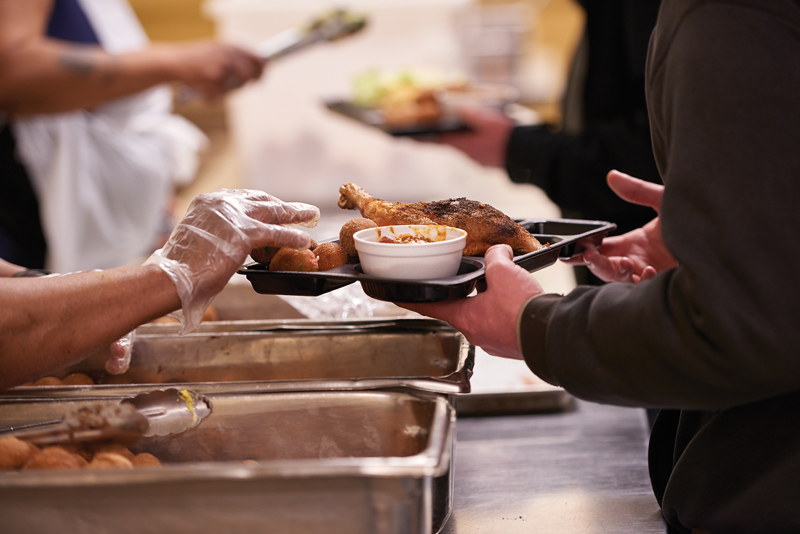 125,000 individuals each year need help with finding a good meal. 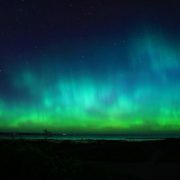 Click the image for close-up details of graphic in a new window. You can see that the numbers in the above graphic support Lawrence’s statement. 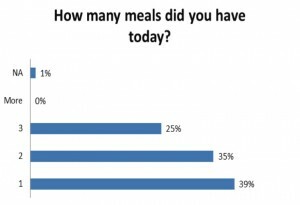 The first chart illustrates that over half of our guests depend on House of Charity for meals at least three times per week. Then, looking more closely, we can see that in any given month nearly 90% of our diners eat with us at least once per week on average. In the second chart, you can see how long people have been utilizing our meal service. With roughly 70% of guests visiting us for at least a year, and almost a quarter of guests coming for more than six years, it is safe to say that the Food Centre plays an essential role in the lives of our guests. 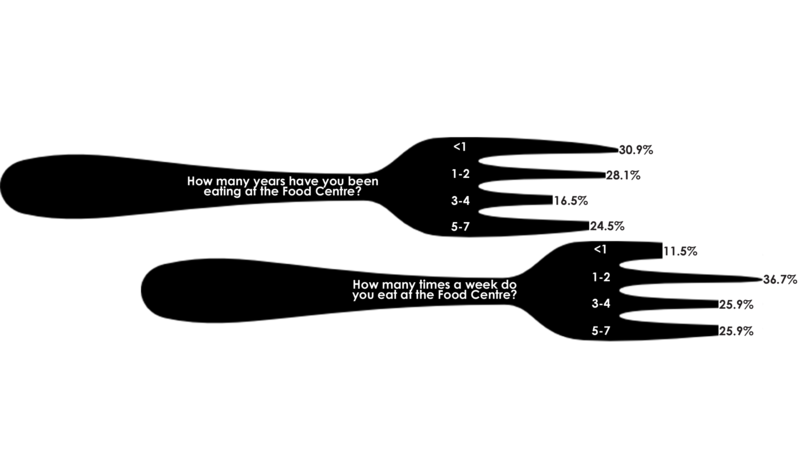 In House of Charity’s next newsletter, we will take a look at the data we have collected about the employment status of Food Centre guests, because quite a few guests have indicated that they use the Food Centre meal facility on their way to, or on their way back from, work. 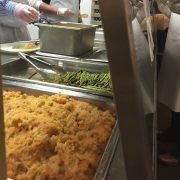 Here are a few more articles about food shelf use and hunger among the employed. DiBlasio, Natalie. “Hunger in America: 1 in 7 Rely on Food Banks.” USA Today. Gannett Satellite Information Network, 17 Aug. 2014. Web. 29 May 2017. 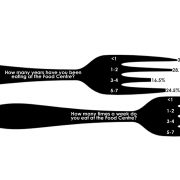 <https://www.usatoday.com/story/news/nation/2014/08/17/hunger-study-food/14195585/>. 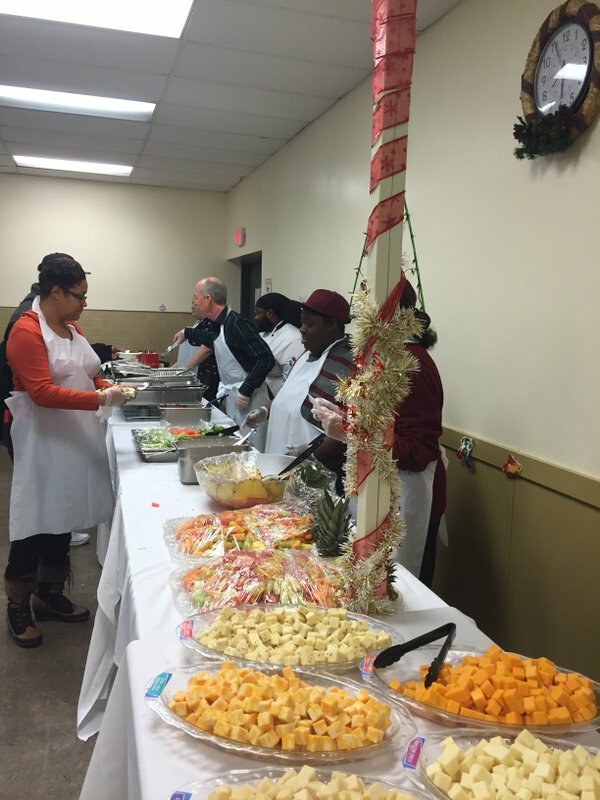 “From Paycheck to Pantry: Hunger in Working America.” Feeding America. N.p., n.d. Web. 29 May 2017. 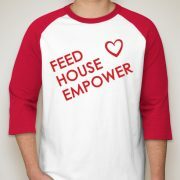 <http://www.feedingamerica.org/hunger-in-america/our-research/hunger-in-working-america/>. 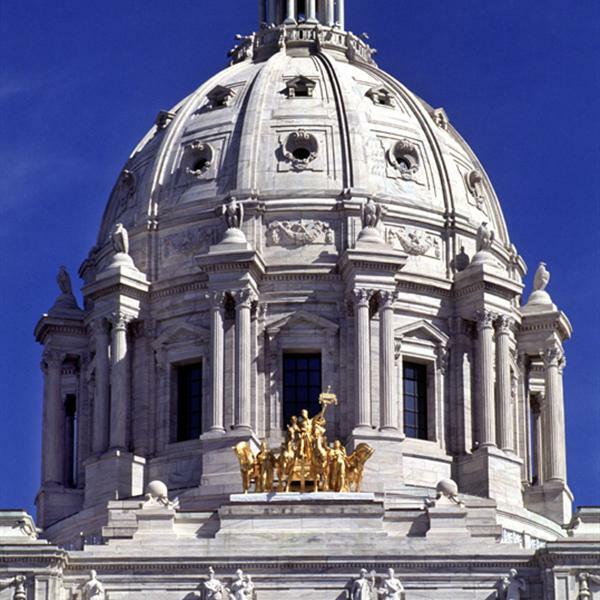 “Homes for All” requests an additional $30 million in the state budget for the full spectrum of housing needs and to strengthen Minnesota’s Housing Continuum: investments will prevent and end homelessness, promote affordable housing, and prepare homeowners. 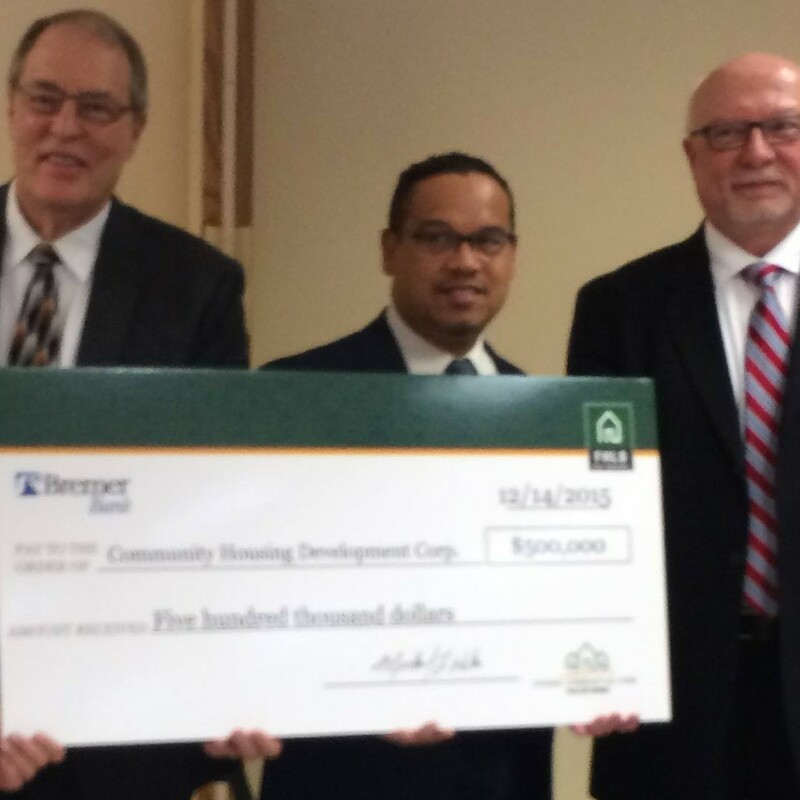 These investments help communities throughout the state address housing needs and build financial assets. 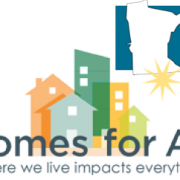 Homes for All also requests $100 million in bonds for housing. These investments provide critical funding to build and preserve affordable housing throughout the state. 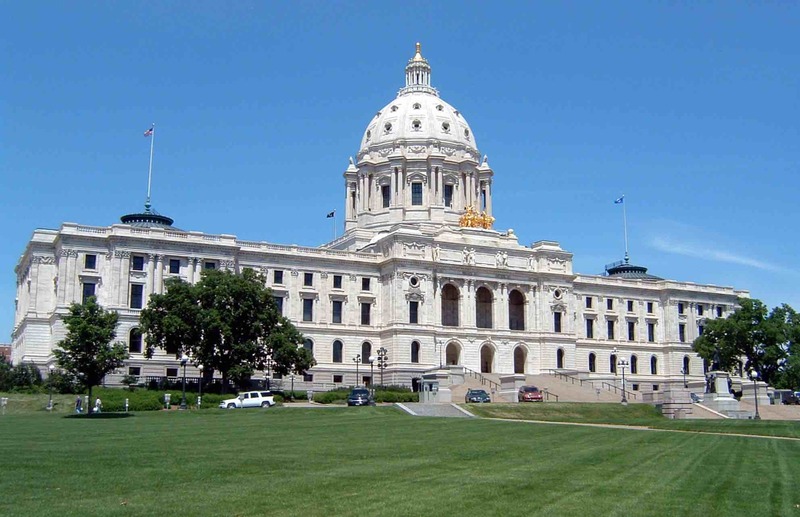 This would allow the state to build or preserve 3,000 homes for Minnesotans experiencing homelessness. The Governor’s budget and bills in the House and Senate include funds to help individuals and families end their homelessness with services and housing that fits their need. 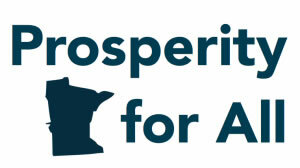 Increase the Minnesota Family Investment Program (MFIP) cash assistance by $100. MFIP provides work support and temporary cash assistance for families working toward full-time employment. The MFIP funds have not increased in 30 years. 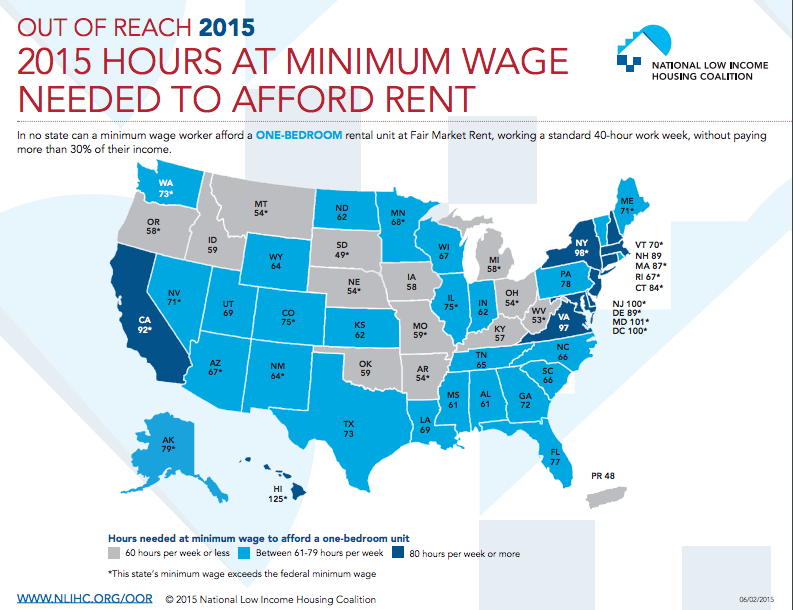 The cost of living has certainly increased, but the support for families working toward employment has not. 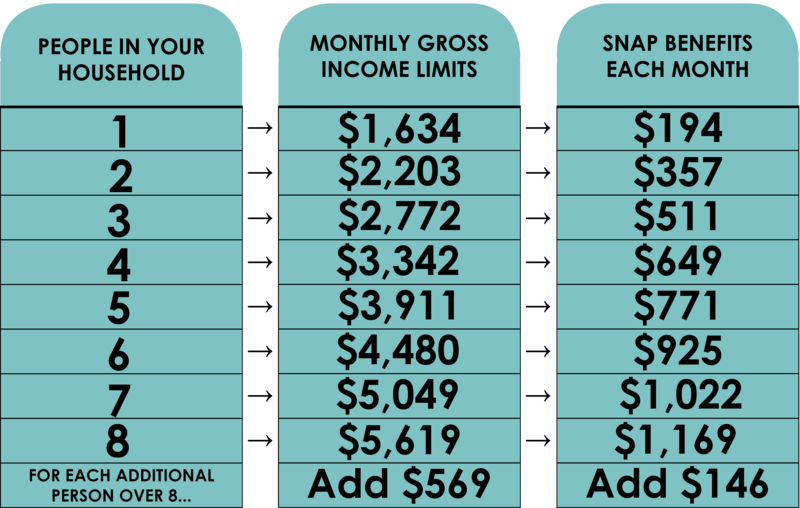 Improve the Working Family Credit. The credit needs to be offered to more families, be increased, and include younger workers. Restore the Vote is an effort to reinstate voting rights for ex-offenders on probation or parole. We need your help! 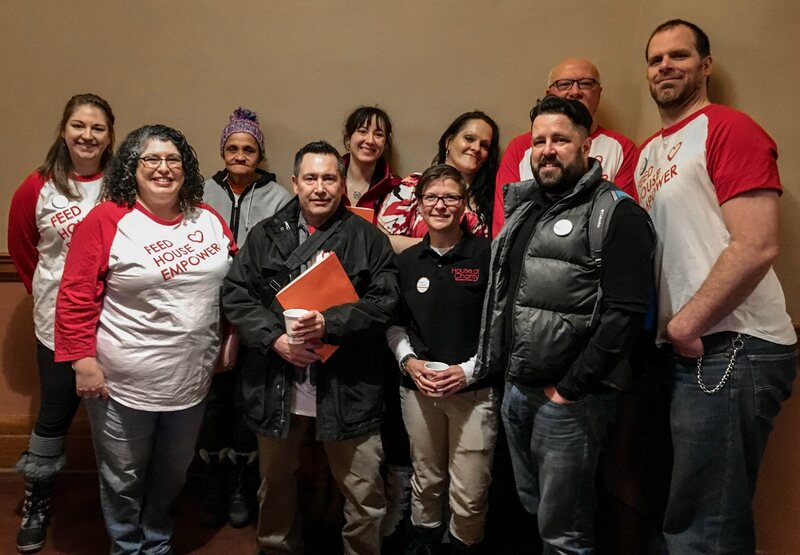 Call or e-mail your Legislator to let them know you want them to support the “Homes for All,” “Prosperity for All,” and “Restore the Vote” Legislative Agendas. 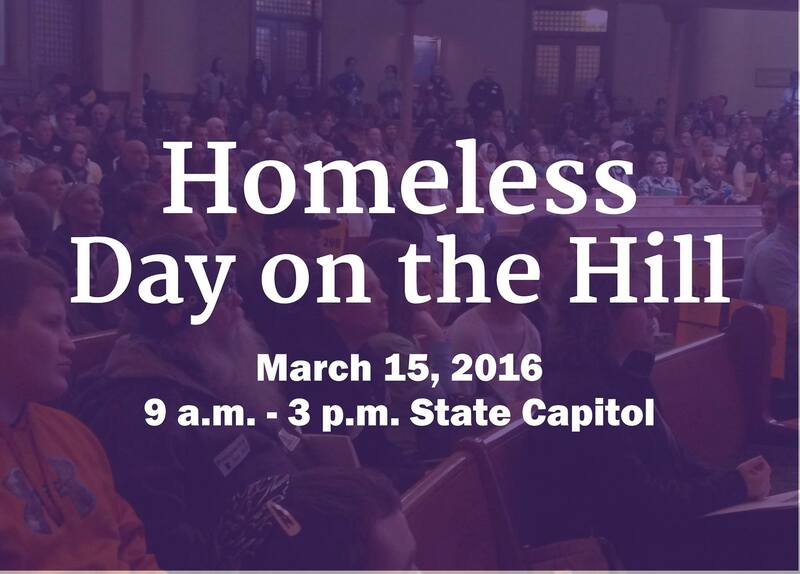 A great number of people who suffer from long-term homelessness also suffer from mental illness and addiction. 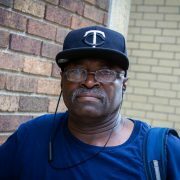 In fact, according to the 2015 Wilder Research Study on Homelessness specifically for Hennepin County in Minnesota: 54.6% of people experiencing homelessness have a mental illness, 18.3% have a substance abuse problem, and 15.8% have a dual mental illness and chemical dependency diagnosis. retaining Permanent Supportive Housing once they have treated and/or are treating their mental illness and/or chemical dependency. Addressing and treating mental illness and chemical dependency helps people become better tenants with their landlords, a better neighbor and community member. They become more prepared to address other barriers like education and employment as they work towards achieving independence. 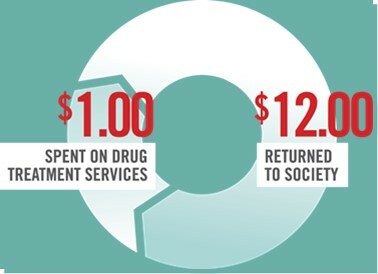 In 2015 the Minnesota Department of Human Services found that for every $1 spent on drug treatment services, $12 is returned to society in reductions in drug-related crime, criminal justice costs, and health care costs. 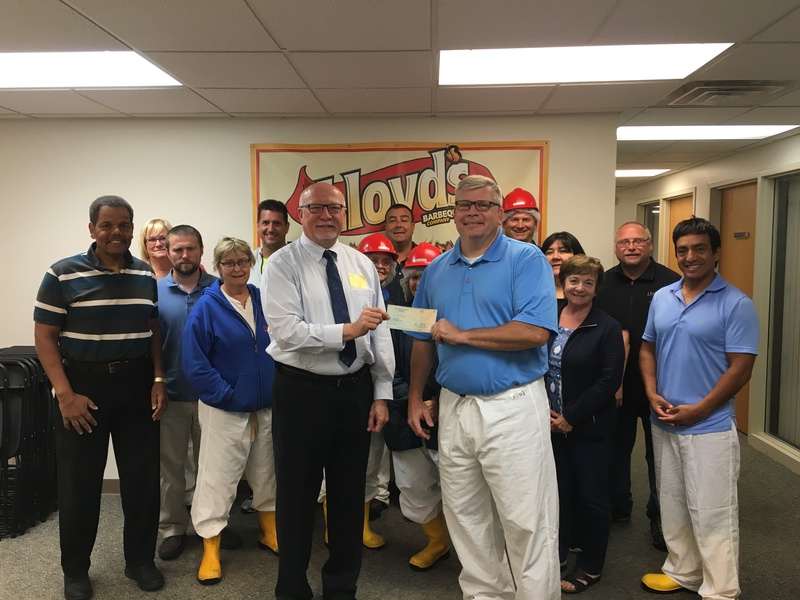 Each House of Charity client receiving case management services presents a return on investment of $21,758. 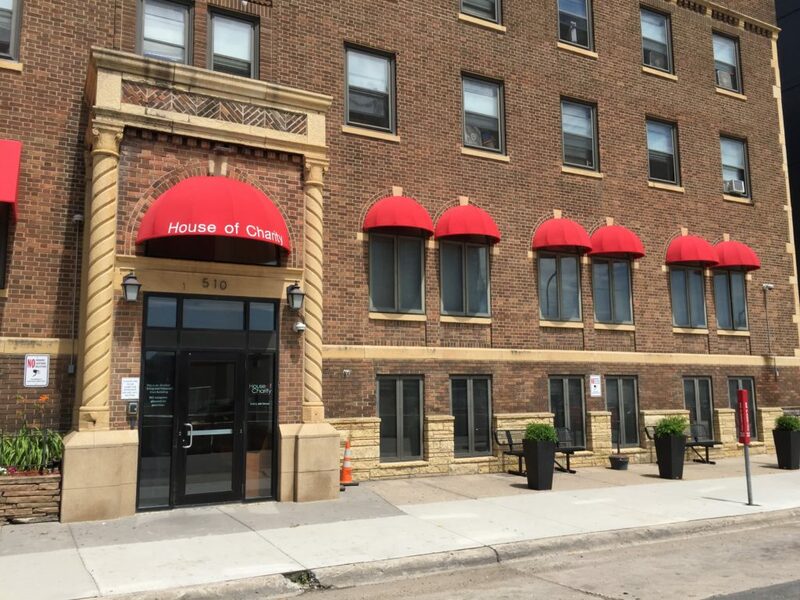 The Chemical and Mental Health Treatment program at House of Charity is an excellent gender-specific outpatient treatment option for men and women struggling with substance abuse or a dual diagnosis. 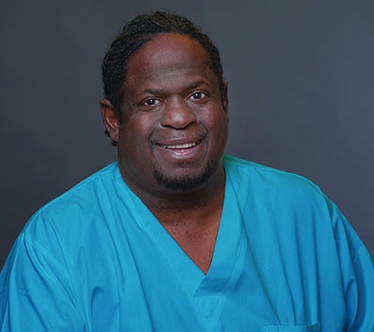 Through evidence-based practices facilitated thorough system of phases and sliding scale payment options, treatment at House of Charity is comprehensive, affordable and definitely worth pursuing. 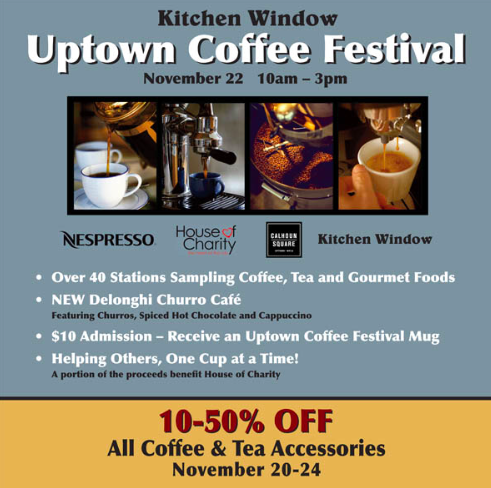 On Saturday, November 21st, 2015, the 26th Annual Uptown Coffee Festival will be held at Calhoun Square from 10:00 a.m. until 3:00 p.m. 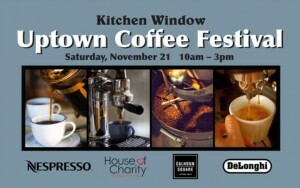 The Uptown Coffee Festival is hosted by Kitchen Window. More than 3,000 people come to sample coffee, tea, cocoa, and gourmet food at more than 40 tasting stations. 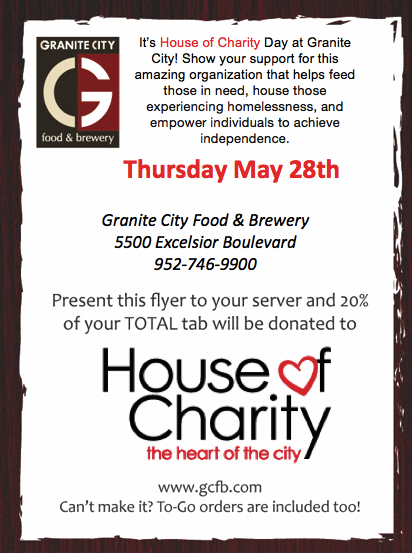 For the past 5 years, Kitchen Window has selected House of Charity as the beneficiary of this event. 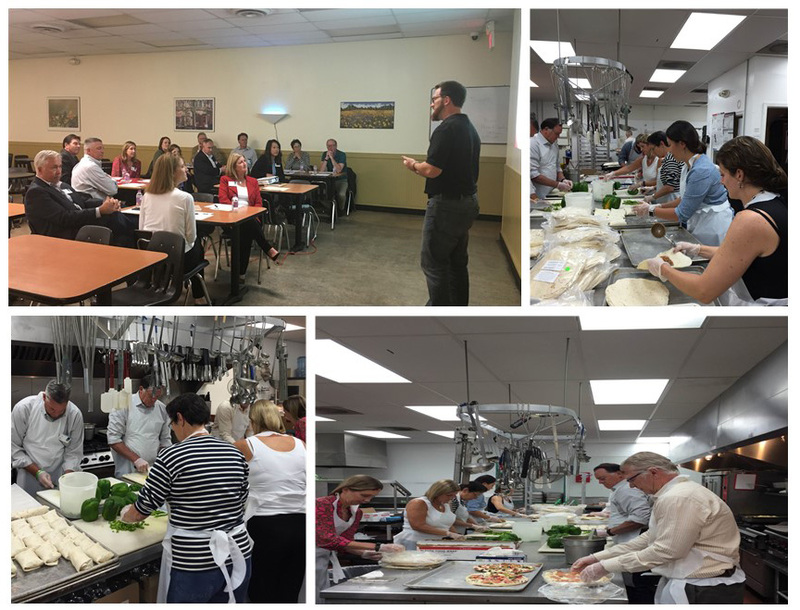 As the beneficiary, House of Charity receives a portion of the proceeds from the $10 admission fee, 100% of the raffle tickets sales, and a portion of the proceeds from an exclusive demonstration by Kitchen Window. 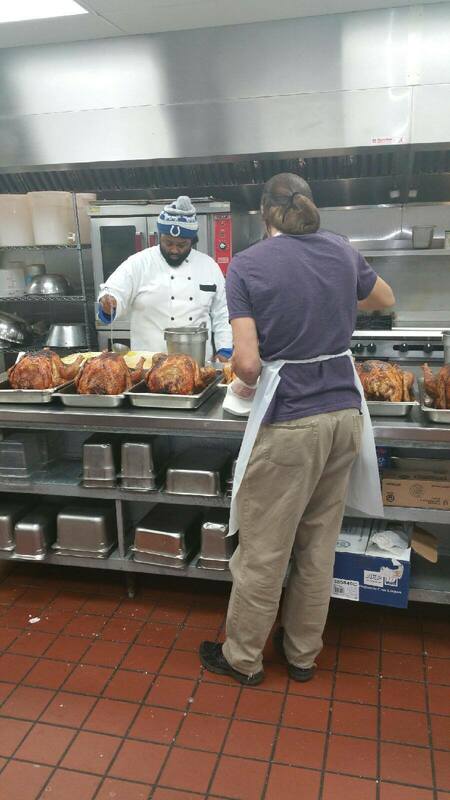 We have served 2,000 more meals so far this year compared to 2014! Despite the improvements in our economy, House of Charity has witnessed an increased need for our free public meal program at our Food Centre. Daisy Rose was a nurse for 19 years, but her MS symptoms worsened and she could no longer work. Living on a fixed income, she is a regular at the Food Centre as she often doesn’t have enough to buy food after bills are paid. 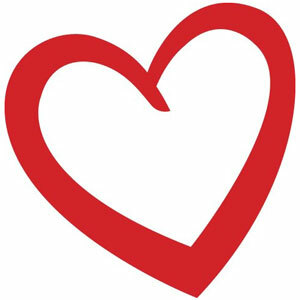 So, lucky for you (and our diners! ), Mosaic will now match your donation! 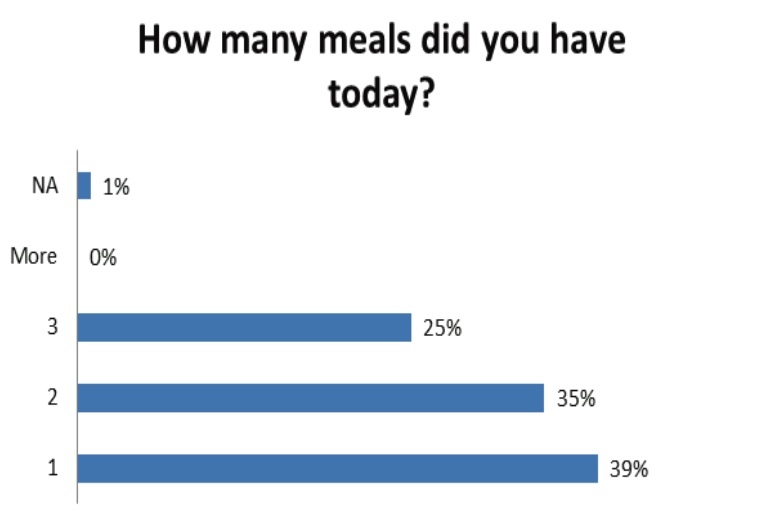 When surveyed in February 2015, 39% of our Food Centre diners stated that the meal they received is likely the only food they will consume that day. Just like Daisy Rose, that means 136 or more diners, out of our average 350 diners, would have gone without food for the day. Our Free Public Meal at the Food Centre is funded entirely from donations from people like you! 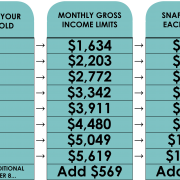 The food expense to feed one person is $0.50. So, for example, $25.00 will feed 50 people. The Mosaic Company has renewed their challenge match. So every new and increased donation will be matched. 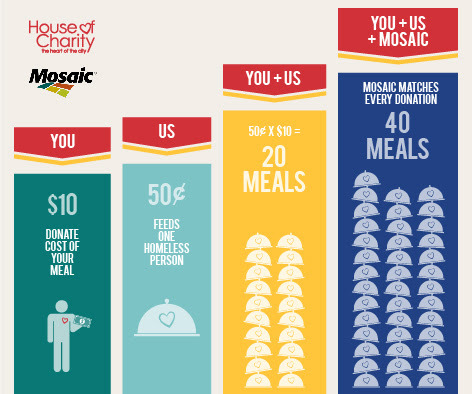 Now, a donation of $25.00 will feed 100 people thanks to you and Mosaic! https://www.houseofcharity.org/wp-content/uploads/2016/06/houseofcharity-logo.png 0 0 House of Charity https://www.houseofcharity.org/wp-content/uploads/2016/06/houseofcharity-logo.png House of Charity2015-09-17 14:12:302016-08-30 12:26:59Hunger Action month: Double your impact! 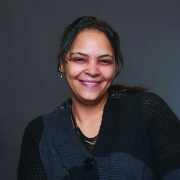 Denise found herself homeless in 2006 when she was evicted for not paying the rent—she had used her money for drugs and alcohol, instead. Over the course of the next six years, Denise struggled. She lived in friends’ homes, emergency shelters, treatment centers, and sober housing. Unfortunately, she did not maintain her sobriety and was taken to detox on more than one occasion. Again, she lost her housing. 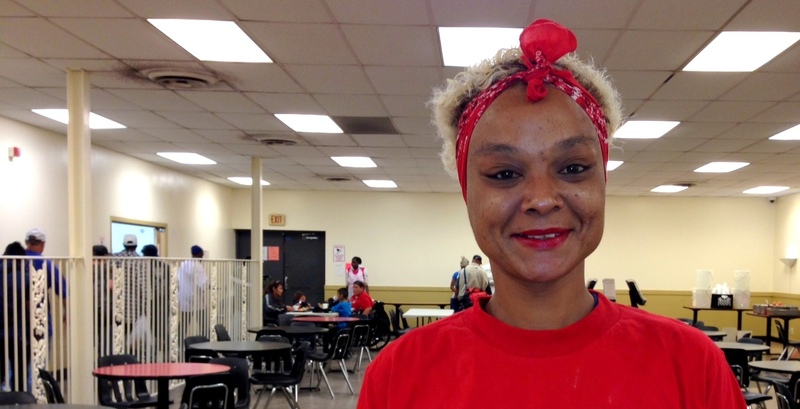 Denise went to the Salvation Army, determined to get back on her feet. She got a full-time job as a telemarketer. Every day she would bring all of her belongings to work in bags and stick them under her desk. 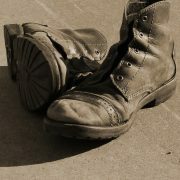 So as not to appear homeless, she pretended that she was planning to work out in the evenings and had brought her gear. She would go back to the Salvation Army night after night. This daily routine became stressful and Denise began drinking again. 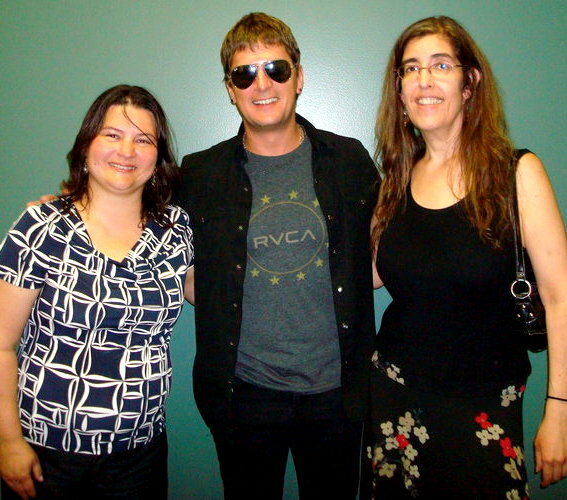 Denise came to House of Charity on November 1, 2012. She is moving into her own apartment at the end of March through our Housing First program. 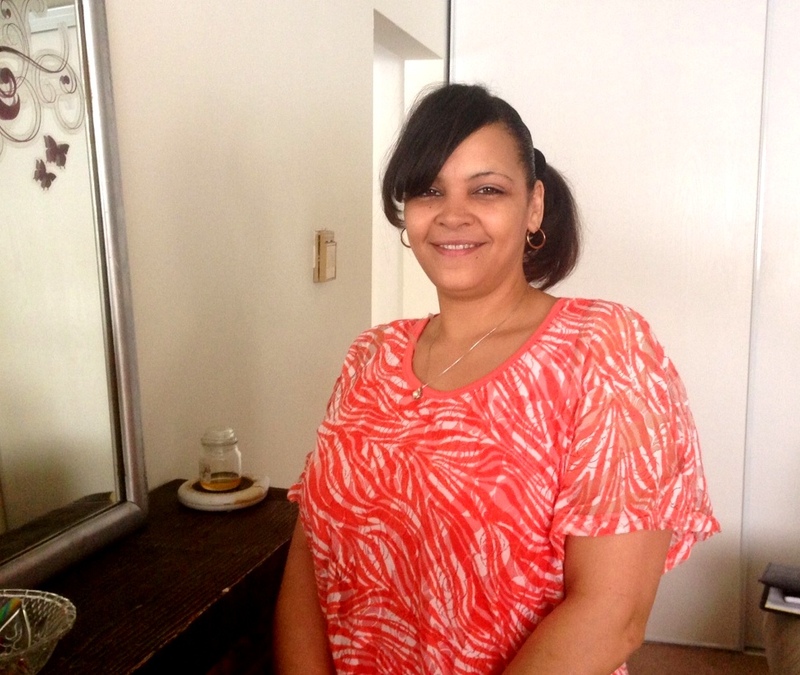 Denise credits her case manager for helping her find housing. She feared that her past would prevent anyone from renting to her. In 2001, Denise was charged with a felony for driving under the influence, and was sentenced to house arrest and work release. 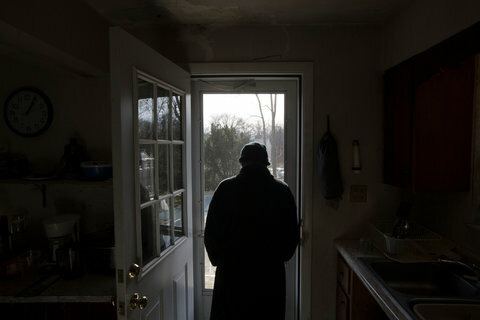 Although the felony was reduced to a misdemeanor three years later, Denise was afraid that landlords would not accept her once they did a background check. 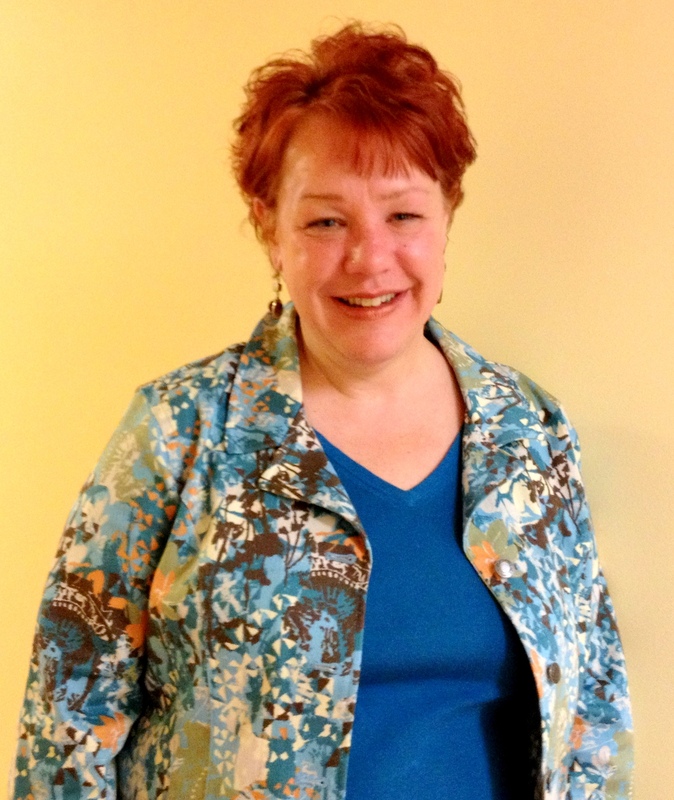 Denise’s case manager, Erin, made her feel that her obstacles were not insurmountable. Denise was upfront with the landlords about what they would find in her background report and explained the circumstances. 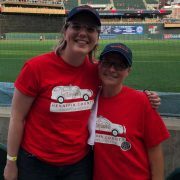 Denise believes Erin did an amazing job as her case manager, but she stresses that you have to be proactive as a client, as well. Denise completed treatment through House of Charity’s Day by Day program. She trusted her counselor, Sarah, and found her very caring. She provided the guidance Denise needed. Now, Denise feels that she has put together a strong support system and a solid plan to help keep herself from relapsing. Denise believes that her faith is the only reason she is here today. 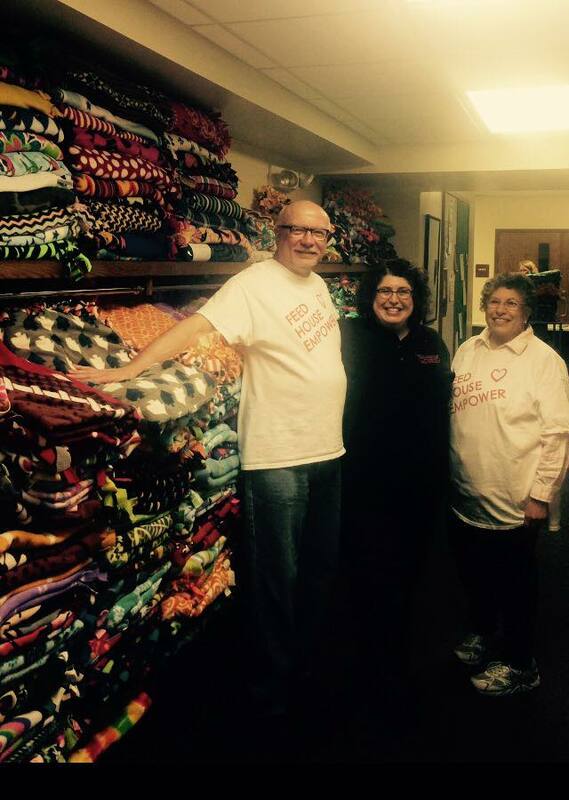 In addition to staff at House of Charity, her support system includes three spiritual mentors, a group of friends she made through a drop-in women’s group at Central Lutheran Church, and a Christian Twelve Step program. Her plan includes staying busy. 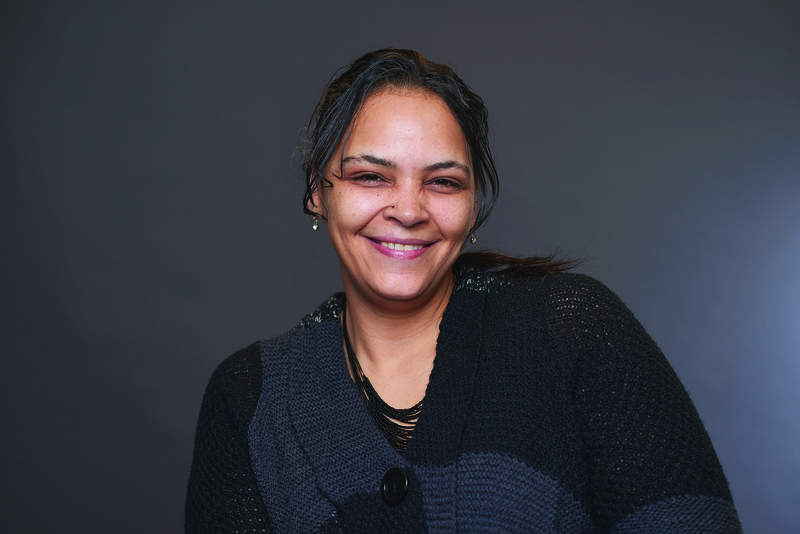 She currently sits on the Catholic Charities Opportunity Center Advisory Council and volunteers there twice a week as a “system navigator.” When she was first homeless, Denise did not know where to turn. Now, she has a passion for wanting to help people who are in the same situation. She knows the value of taking one step at a time and identifying small attainable goals that can get you where you want to go. 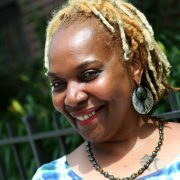 One of Denise’s goals is to write and produce her own plays for a faith-based recovery theater. To cope with growing up in a challenging home environment, Denise became the funny girl. She defaulted to humor and she always wanted to act. Lon is living in his own apartment. He has been awarded custody of his 15-month-old son. He has been reconciled with his mother. He has plans to go back to school. 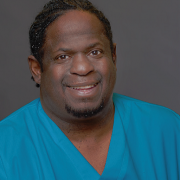 Lon’s struggles with drugs and alcohol led him to prison. 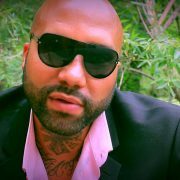 His two sons were taken from their mothers and placed in foster care while he was incarcerated. Lon and his mother stopped speaking because she was upset with his drug use and behavior. 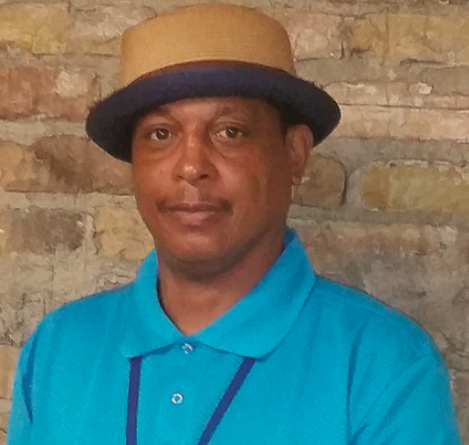 When Lon was released from prison, he first went to another treatment program and then came to House of Charity. 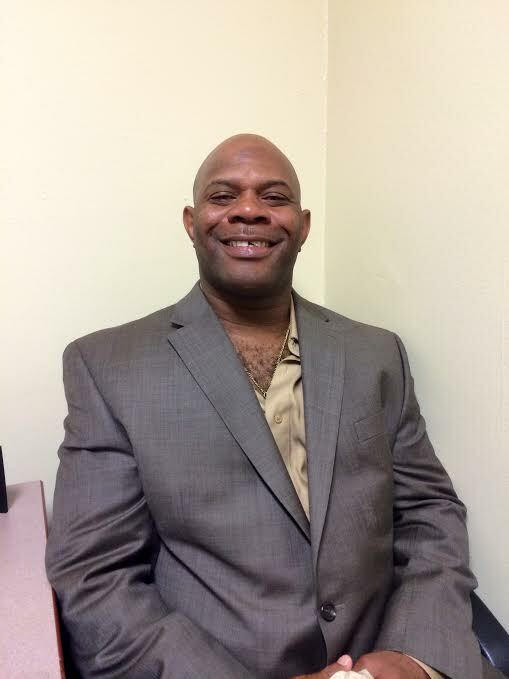 He lived in our transitional housing and participated in our Day by Day treatment program. He went to group sessions every day and established a particularly trusting relationship with his counselor, Maren. Maren was very supportive and worked with Lon’s parole officer as well as the child protection workers. Lon graduated from the Day by Day program after 90 days. 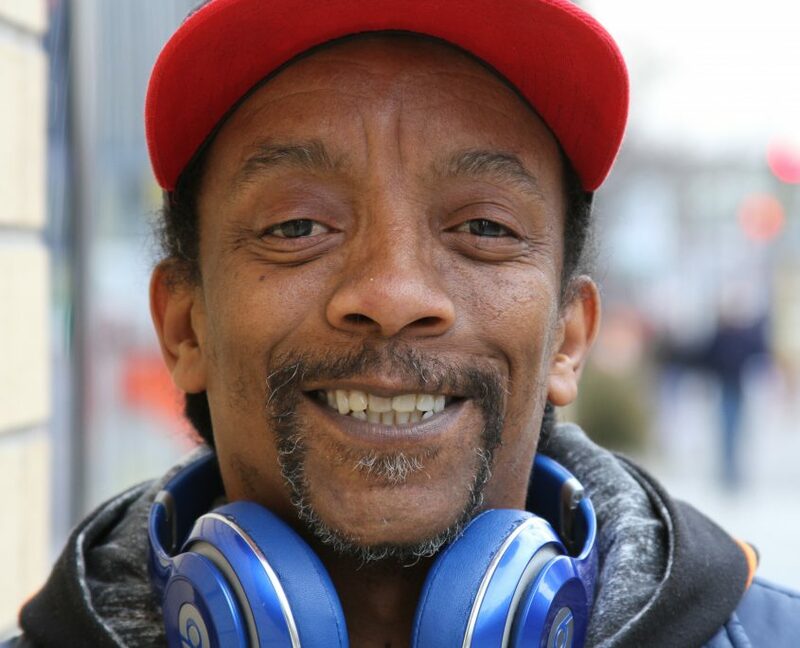 Through House of Charity’s Housing First program, Lon was able to move into his apartment. He is still going to support groups and meeting up with friends from House of Charity. He is now off parole. 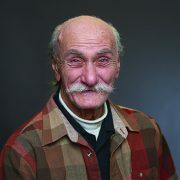 Lon appreciated his stay at House of Charity; he felt he had the support of all the counselors and his case manager. Lon’s oldest son (15) is now living with his mother in Wisconsin and Lon sees him regularly. Lon’s youngest son came to live with him in December. Lon’s mother will help Lon with child care when he goes back to school to learn small engine repair. Lon says that if it weren’t for House of Charity, his sons still would be in foster care and he probably would be on the street. 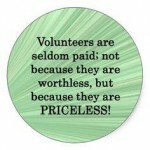 We are grateful to everyone who is interested in and supports our work with Lon and others in need. 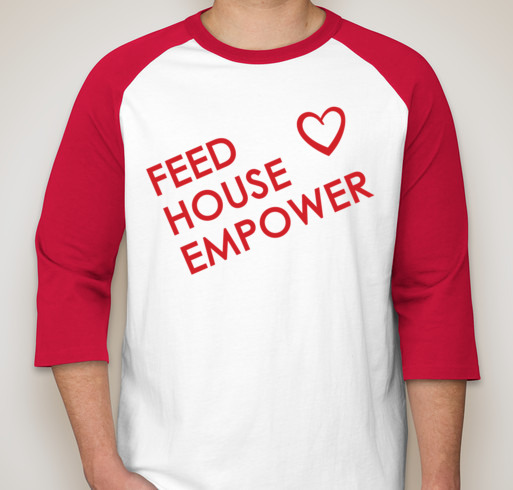 You have a large impact on our ability to feed, house, and empower.